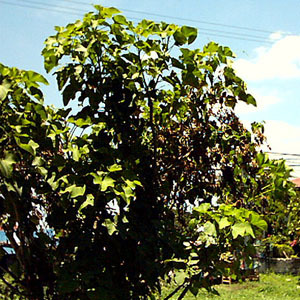 Papaya is a fruit tree found throughout the Philippines, mostly cultivated. The native species grows mostly wild on Mt. Banahaw. 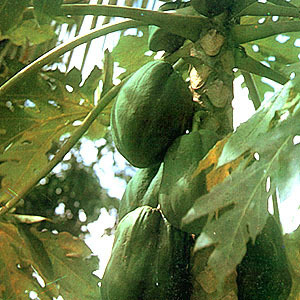 Papaya is one of our four “power herbs” having a long history and proof of being a very effective medicinal plant. The leaves, fruits, stem and roots all contain the proteolytic enzyme papain. Exhaustive studies have been done on papain, and it is reported to be a true, soluble, digestive ferment or a mixture of ferments of vegetable origin, its proteolytic action marked in acid, alkaline, and neutral solutions and also in the presence of many chemicals, antiseptics, and therapeutic agents. It has a peculiar softening and disintegrating actions in proteids, and its general proteolytic action is that of a genuine digestive ferment, similar to that of the ferments of animal origin. It acts in the way rennet does upon milk, and has a pronounced digestive power at a wide range of temperatures. Papain is used effectively as an anthelmintic. The leaves are often employed as a remedy for asthma, and said to also be a heart tonic. The flowers have pectoral properties. The fruit is used in cosmetics for a healthy skin complexion. The green fruit is laxative and diuretic. Studies at the University of Nigeria have revealed that extracts of ripe and unripe papaya fruits and of the seeds are active against gram-positive bacteria. Strong doses are effective against gram-negative bacteria. The substance has protein-like properties. This entry was posted in List of Medicinal Plants in the Philippines and tagged papaya on April 2, 2009 by Pinoy Herbs. Physic nut is a drought resistant shrub that grows up to 20′ tall under favorable condition with spreading branches. 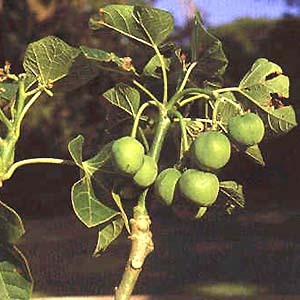 There are male – and female plant of Jatropha curcas. The black thin shelled seeds are considered toxic; they contain the toxalbumin curcin and this make them fatally toxic. Roasting the seeds seems to kill the toxin. However, they also contain a high percentage of clean oil used for candles, soap and bio-diesel production. The fruit contains 2 or 3 large black, oily seeds. Physic nut has insecticidal – and fungicidal properties. It has yellow-green flowers and large (pale) green leaves. It is a drought resistant shrub with a smooth gray bark. Barbados nut has latex that contains an alkaloid (jatrophine) which shows anticancerous properties. Caution is advised when using physic nut! When irrigated it procedure seeds during the whole year. The seeds contain 37% of this non edible oil. In traditional medicine, the leaves of this plant are used against stomachache, diagnosed in children: boiled leaves for conditions of the gums and throat; tea of the leaves for stoppage of urine, constipation, backache and inflammation of ovaries. This entry was posted in List of Medicinal Plants in the Philippines and tagged tuba bakod on April 1, 2009 by Pinoy Herbs. Tuba – Scientific name: Croton tiglium Linn. An erect or more or less spreading shrub or very small tree. Leaves: alternate, ovate 7 to 12 cm in length, usually somewhat rounded at the base, pointed at the tip and toothed at the margins. Flowers: very small and borne on terminal inflorescence, with the female flowers situated toward the base of each inflorescence. Fruits: capsules, ellipsoid, or obscurely 3-angled, 1.5 to 2 cm long and contains a single seed. Seed: ovoid or oblong, 12 to 15 mm in length and 3-angled, the testa dark-brown or blackish, thin and brittle and of faint odor; the albumen and the embryo are yellowish. Seeds are at first mild in taste and subsequent acrid and pungent. Usually planted, in and about towns, throughout the Philippines; naturalized in some places. Rinse, cut into sections, and sun-dry. Pungent taste, warming, antipyretic, aids in gastrointestinal disorders, and antiinflammatory. Toxic in excessive internal use. For rheumatic pains of the legs and waist: use 3 to 6 gms of dried material in the form of decoction. 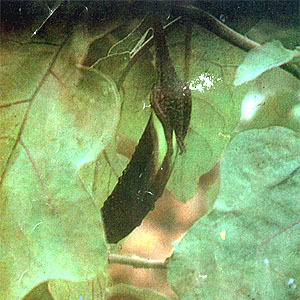 Pounded fresh leaves may be applied as poultice for snakebites or may be used as insecticide. This entry was posted in List of Medicinal Plants in the Philippines and tagged croton oil, tuba, tuba tuba on April 1, 2009 by Pinoy Herbs. Tanglad is a grass and is cultivated throughout the Philippines. It is a popular ingredient in herbal teas and herbal soaps. It is used to aid digestion, for stomach problems and to reduce fevers. Lemon Grass, common name for several species of grasses originating in Africa and Asia, used for culinary, medicinal, and cosmetic purposes. Although traditionally used in India and South East Asia, Lemon Grass is now widely cultivated in tropical America, Africa, Australia, and the Caribbean. The leaves and base of this tender perennial are used as a food flavouring, particularly in fish and poultry dishes, and its essential oils are used medicinally. Its distinctive flavour balances hot chillies and contributes to the elaborate, multi-layered flavours of many dishes in South East Asian cuisine. As the long, thin, grey-green leaves are tough and fibrous, the outside leaves and the tips are usually chopped very finely or discarded from the dish before it is served. The base is often ground. Citral, an essential oil also found in lemon peel, is the constituent responsible for its taste and aroma. Citronella grass (Cymbopogon nardus), which is native to South East Asia, yields citronella oil, which is used in perfume, cosmetics, and insect repellents. Its repellent properties are also utilized in preparations used in dog and cat control. 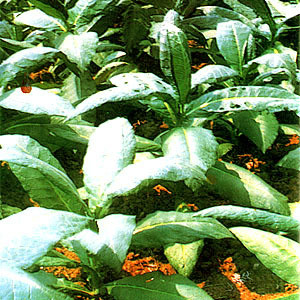 Fractional distillation of the oil may be used to produce menthol, which has medicinal uses. 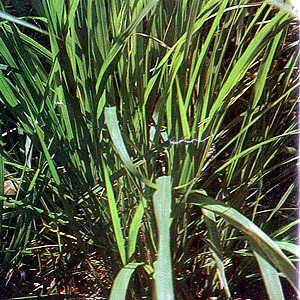 Lemon grass , also known as Sweet Rush and sometimes called Fever Grass in the Caribbean, can be used as a remedy for ague, fevers, and colds, and is utilized in the manufacture of synthetic violet perfume. Other varieties of aromatic oil-bearing grasses include Rosha grass (Cymbopogon martini), which is grown in India; East Indian lemon grass (Cymbopogon flexuosus), a native of South India; and camel grass (Cymbopogon schoenanthus), which originates in the Middle East. Scientific classification: Lemon grass belongs to the genus Cymbopogon of the family Poaceae. It is classified as Cymbopogon citratus. This entry was posted in List of Medicinal Plants in the Philippines and tagged lemon grass, tanglad on April 1, 2009 by Pinoy Herbs. 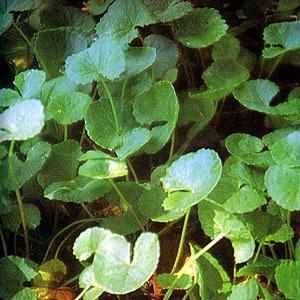 Takip-kohol – Scientific name: Centella asiatica L.
A prostrate, creeping sparingly hairy or nearly smooth herb. The stems rooting at the nodes. Leaves: rounded to reniform, 2 to 5 cm wide, horizontal, more or less cupped, rounded at the tip, and kidney-shaped or heart-shaped at the base, palmately veined, scalloped margins, the rounded lobes often overlapping. Petioles erect, 3 to 20 cm and long. Flowers: petals dark-purple, ovate, and about 1 long. Peduncles occur in pairs or threes, less than 1 cm long and usually bear 3 sessile flowers. Flowering October to May. 5 carpels, cylindric compressed, about 2.5 mm long, white or green, reticulate. Ovary inferior. Stamens 5, epigynous. Found in gardens; open, damp grasslands on rice paddy banks and streams throughout the Philippines. Gather drug material anytime of the year. Bitter principle, vellarin; pectic acid. Chemical analysis of the plant shows the presence of vallarine, high vitamin B content in the leaves and roots, and a miscellany of other constituents such as carbohydrates, resins, proteins, ash, alkali, alkaline salts, phosphates, and tannins. Infectious hepatitis, measles, respiratory tract infections – colds, tonsillitis, laryngopharyngitis, bronchitis. Fresh material: 60 to 260 gms, dried material: 30 to 60 gms: Take in form of decoction. Counterirritant: Pound fresh leaves, mix with vaseline or oil and apply over affected area as poultice. This entry was posted in List of Medicinal Plants in the Philippines and tagged takip kohol on March 30, 2009 by Pinoy Herbs. Singkamas – Scientific name: Pachyrrhizus erosus Linn. a Central American climbing plant of the pea family, which has been cultivated for its edible tubers (jicama) since pre-Columbian times. 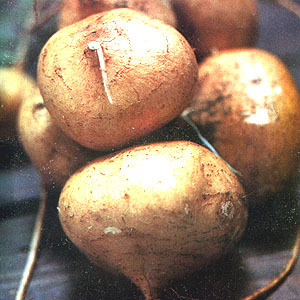 Also known as Jimaca, Mexican turnip, Mexican yam or Mexican potato and usually eaten raw but can also be cooked with a variety of dishes. Spaniards spread cultivation of singkamas from Mexico to Philippines, from there it went to China and other parts of Southeast Asia, where popular uses of raw yam bean include fresh “lumpia” in the Philippines and salads in Singapore and Malaysia such as yusheng and rojak. 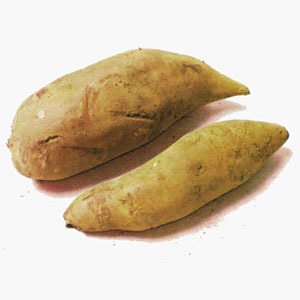 Decoction of the jicama roots are used as a diuretic. Warmed poultice of the stem pulp can be used and applied to painful areas in the leg. Seeds are laxative; and the oil of seeds is purgative in doses of 40 gms. Tincture from seeds are used for treatment of herpes. Roots are used for fever and hemorrhages. This entry was posted in List of Medicinal Plants in the Philippines and tagged singkamas, yam bean on March 30, 2009 by Pinoy Herbs.